The 2019 MLB season is off to a great start, well for some teams. Other teams are either trying to work out their early struggles or are focused on getting healthy. A few teams have gotten off to better starts than most expected. Can these teams continue their success? The Cleveland Indians three-year reign of terror on their division may finally come to an end this season. The Minnesota Twins made some quiet moves this offseason to improve on their 78 win season while the Indians lost some key contributors in free agency. The Twins currently sit a half game back of the Indians despite having a higher run differential. Free agent acquisitions Jorge Polanco and Nelson Cruz have played a huge role in improving an offense that ranked 13th in 2018. The biggest problems for the Twins in 2018 was their pitching staff. They ranked 22nd in the league. The Twins have an ace in 24-year-old Jose Berrios. The rotation is rounded out by Kyle Gibson, Michael Pineda, and Jake Odorizzi. While Gibson has struggled out of the gate, Pineda and Odorizzi are making a solid 3-4 punch. If the Twins manage to stay healthy and avoid a huge slump, they have the potential to dethrone the Indians as the division winner. Yes, the Brewers won 96 games last year to win their division. However, many believed they were prime candidates to regress in a highly competitive division. 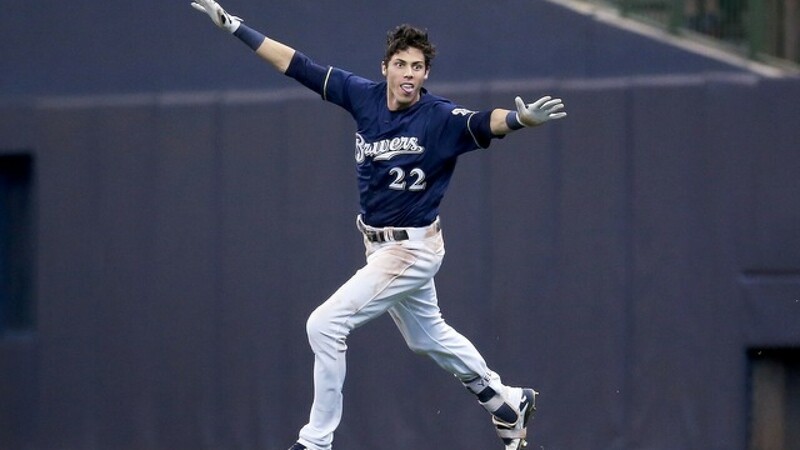 If it were not for the MVP play of Christian Yelich, the Brewers would not have made the playoffs. However, Christian Yelich has continued to show that he is a top-three player in baseball and the Brew Crew continue to have a top-five offense. The main concern for the Brewers right now is their pitching staff that ranks 22nd in the league. Their “ace” Jhoulys Chacin has struggled his way to a 4.24 ERA to start the season. However, this is also the lead ERA on their team which raises some red flags. It is still early in the season and the rotation will find their rhythm. Their bullpen is still locked down by Josh Hader who has continued his dominance in 2019. The Mariners find themselves with the best record in baseball while also posting the highest run differential. Their offense is ranked first overall in the league while their pitching staff comes in at 12. Can they keep this play up the whole season? No. The Mariners were sellers over the offseason, trading key players like Robinson Cano and Edwin Diaz. They have aging veterans in Jay Bruce and Edwin Encarnacion who are inconsistent throughout a season. Their offense has been carrying them to victories. Don’t expect that to last much longer. The Mariners pitching staff is also exceeding expectations as they have turned into an above average rotation. The Mariners did make a splashy signing when they brought in Japanese stud Yusei Kikuchi, however, his ERA is around a 4.00. The Mariners rotation is unlikely to keep up this early season success due to the history of their pitchers not being good in previous seasons. The Rays surprised everyone last season by winning 90 games in a division with the Yankees and Red Sox. Still the Rays found themselves third in the division and missing the playoffs for the sixth year in a row. Through 12 games, the Rays find themselves with the second best record in baseball while the Yankees and Red Sox continue to struggle. While the Rays pitching staff, led by last year’s AL Cy Young Blake Snell, might stay a top-10 rotation throughout the season, it is their offense that will hold them back. Currently ranked 18th in the league, the Rays offense will still likely regress as the season goes on. The starting lineup is littered with bench/role players and led by an aging Tommy Pham. The lineup is missing true star power and will eventually begin to falter.